I embarked on a second career making and painting my ceramics after an art college education and more than 20 years practising as a freelance illustrator in publishing, packaging and advertising. 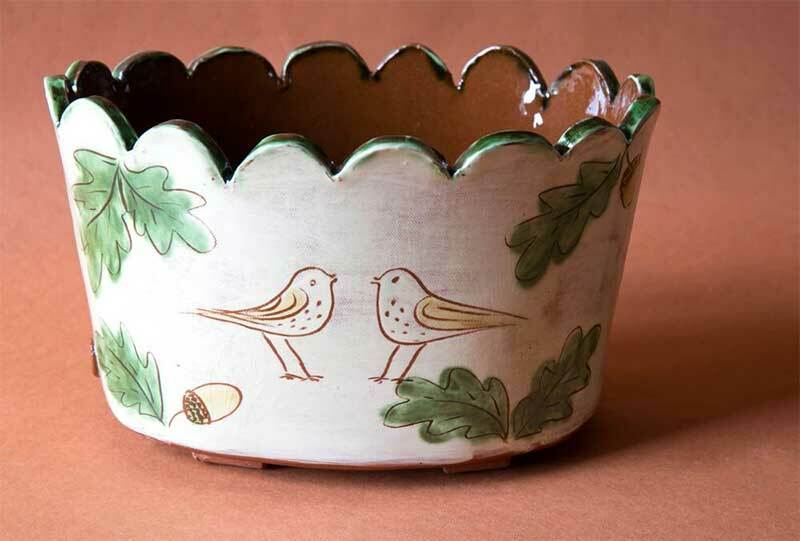 When someone buys one of my pots, they are also acquiring a painting. The human figure, music, dance and the natural world are the focus of my work. 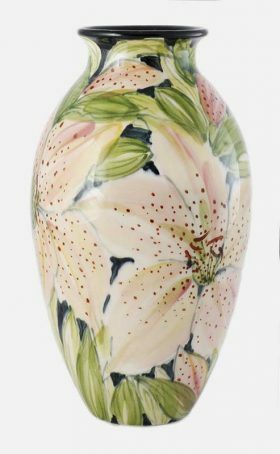 Each piece is hand painted, so is individual in its own right. I use many different ceramic materials with which to paint: slips, underglazes, onglazes, glazes, pencils and chalks. 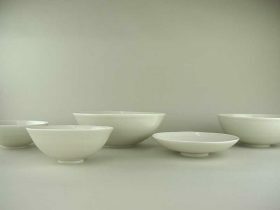 The work is slip cast in white earthenware clay and often altered after removal from the mould. 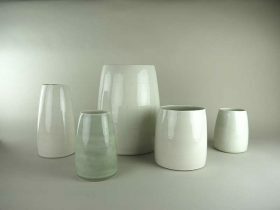 The process of wood firing and salt glazing is very challenging. The weather, the wood, the energy of the firers all contribute to making each pot individual. 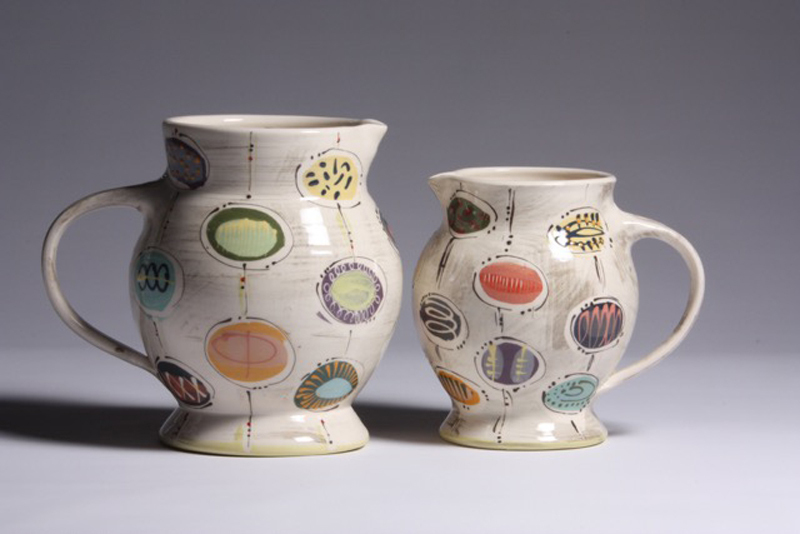 I enjoy making a wide range of pots which respond imaginatively to daily needs in the kitchen. 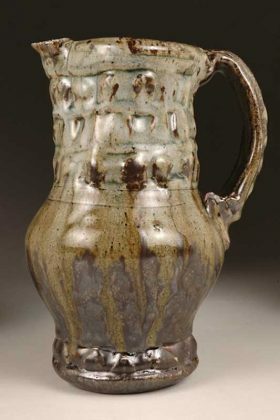 I have always fired with wood and introduced salt into the kiln to form the glaze. The process is fully engaging. It is something you can never totally control, but experience teaches you to bring together all the elements to create the best possible chance of a good outcome. The flames in a wood kiln are slow and gentle and seem to impart some of these qualities to the pots. I live and work on the Gower Peninsula in South Wales. 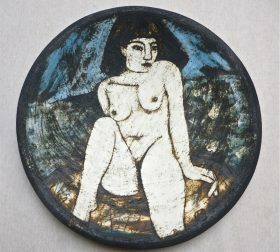 I have a beautiful gallery and visitors are very welcome. 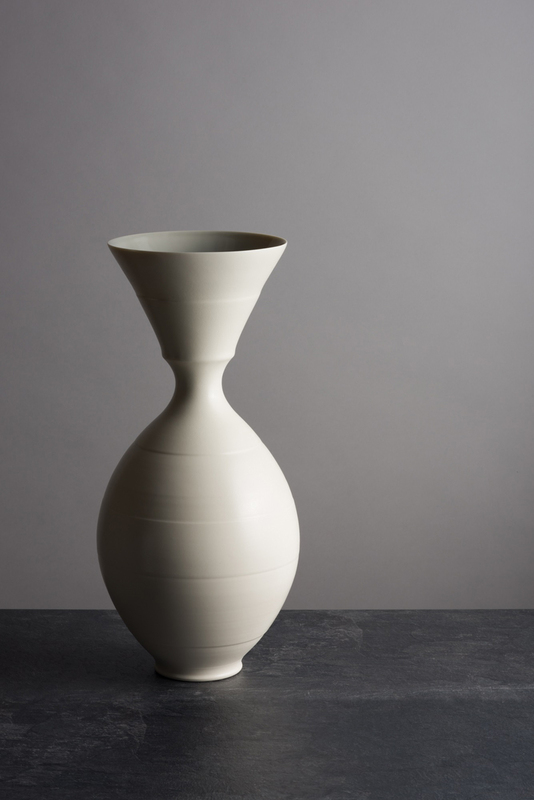 The passage of time and the ability of objects to connect us with our past are constant sources of inspiration for Kate’s work in clay. Her collection of boxes, jugs, vessels and bound containers are conceived as small scale installations or ceramic landscapes. 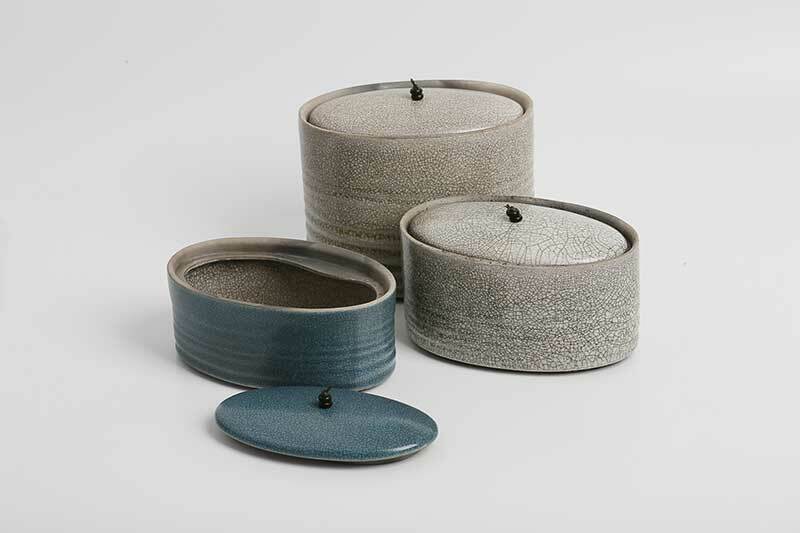 Pots are carefully positioned to highlight the relationship between their interiors and exteriors. The unique effect of raku firing gives the pieces a distinctive crackle and smoky textures with a seemingly timeless quality. 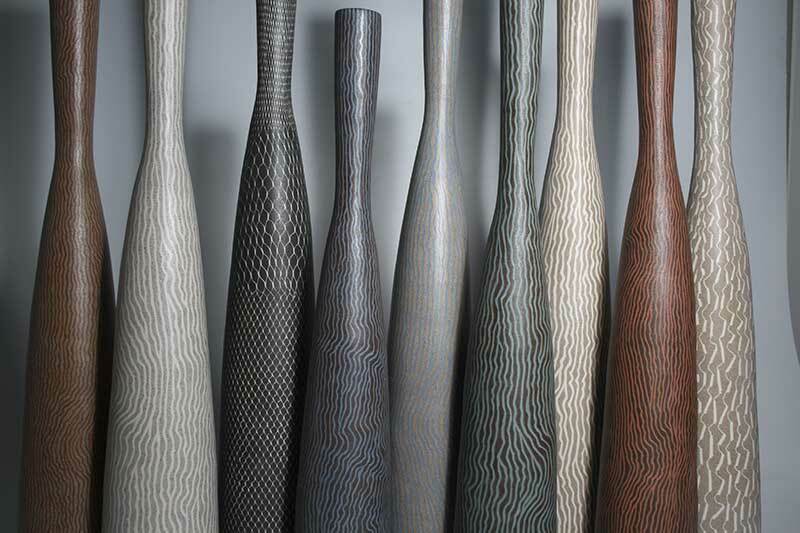 In contrast, wood, slate and precious metals add balance and harmony to the ceramics, accentuating the interplay between light and dark surfaces. 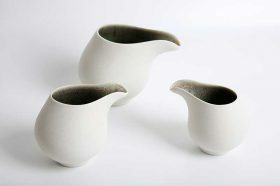 Kate studied Ceramics and Visual Art at the University of Brighton. 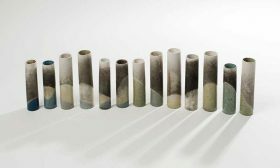 Following her graduation, she was selected for a ceramic residency in Japan where she worked alongside established international artists. 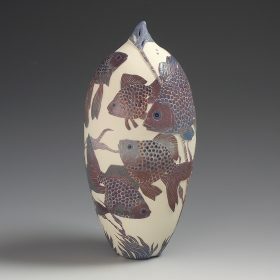 Her raku and stoneware ceramics have been exhibited internationally since 1996, with her major show at Blackwell in 2008. Her work has been commissioned for private and public collections, including British Airways, the British Embassy, The Walker Art Gallery and Cowley Manor. 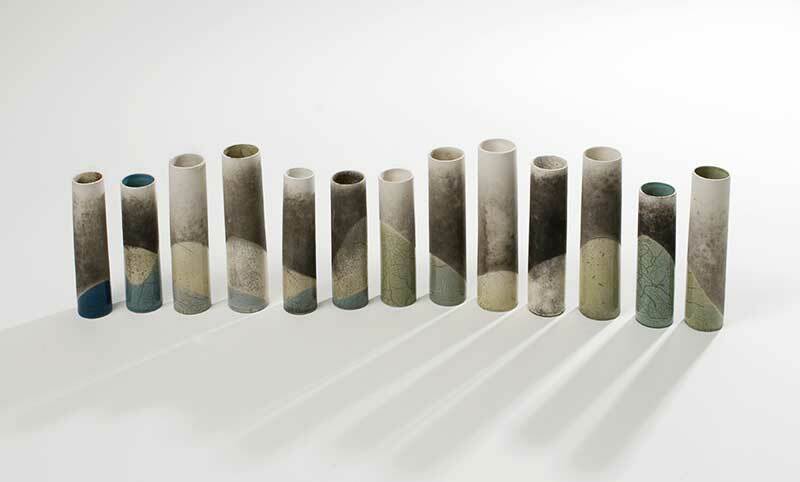 Kate runs one-to-one workshops from her studio in Kent. My stoneware pieces are inlaid with pattern and text, so that the decoration is part of the surface rather than a superficial addition. The body is sometimes stained first, and I use a matte glaze. Since being a small girl I have spent many happy hours drawing and painting images of nature which excited me. 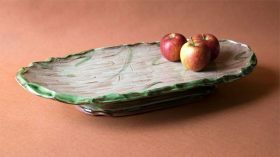 Discovering and specializing in the beautiful technique of Sgraffito has allowed me to combine my two loves of drawing and clay work. 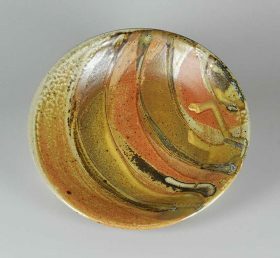 I am passionate about this time consuming process and have developed a distinctive and unique style, with each piece being made, and meticulously decorated by hand. Telling a story and trying to capture a fleeting moment in time I find very fascinating. My forms are thrown using a white fine stoneware and decorated using coloured slips, drawing, carving and sgraffito. Each piece is fired in an electric kiln with only the main themes of the decoration being glazed creating a tension between the matt and shiny surface. 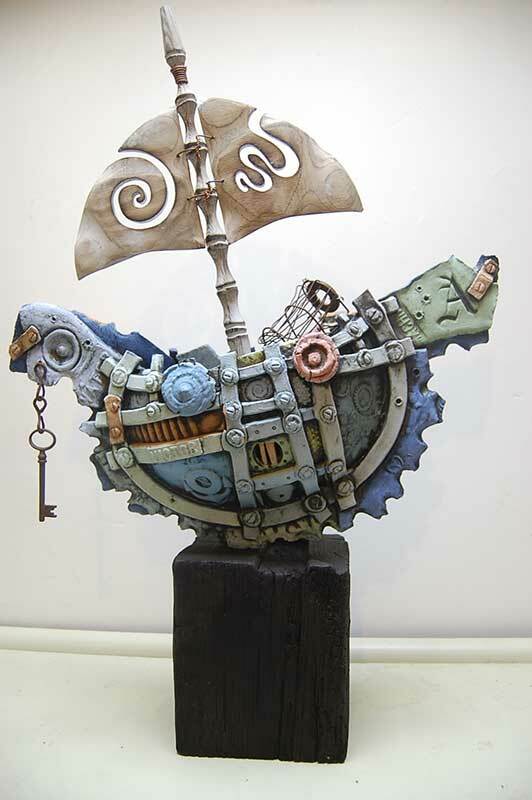 Many past ideas seem to have intertwined into my work and together portray a new sense of freedom. This freedom has inspired a new energy and the effect is spiralling. 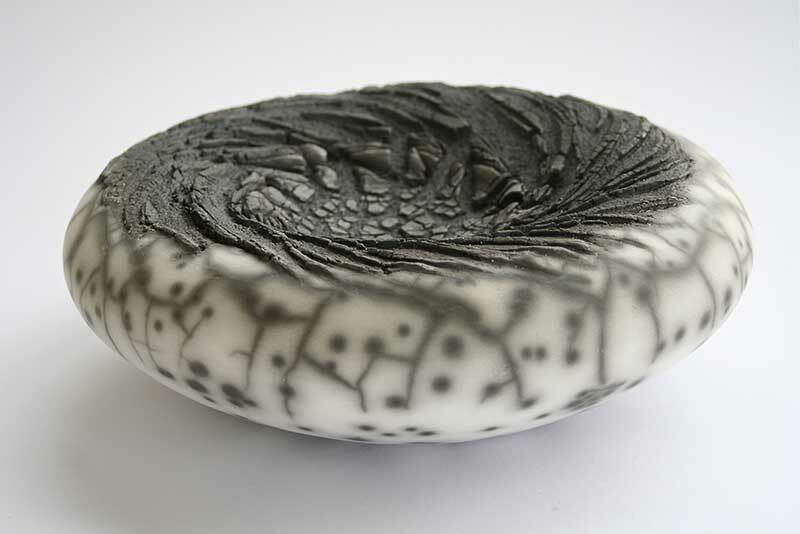 I want to capture a ‘naturalness or rawness’ as if my work has been made by nature. This is why I love to smoke-fire as my work is surrendered to the elements. 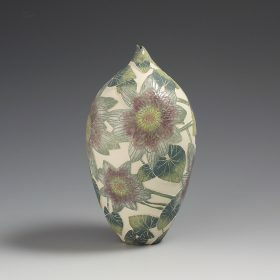 My work is burnished and I use white earthenware or porcelain. 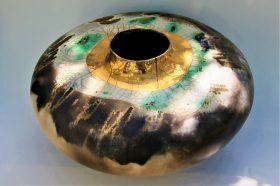 I am also incorporating glaze and lustres to intensify the richness of textures. 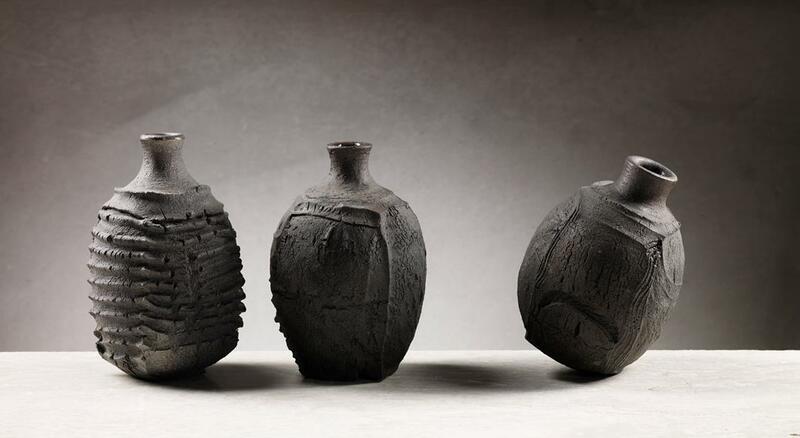 My pieces are smoke-fired in sawdust several times until the desired effect is reached. 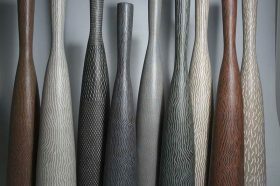 Different layers of the smoke-fire effect continue to reinforce the layering concept of burnishing, glazing and lustres. The curves of my vessels have an affinity with the female form and the natural ‘raw’ quality of the colours and textures lends itself to wild landscapes, shimmering lakes and night skies. 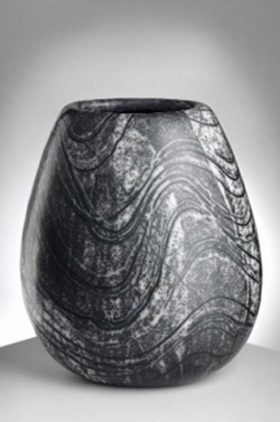 I was awarded a setting up grant by the crafts council in 1999 and have continued developing and selling my work ever since. 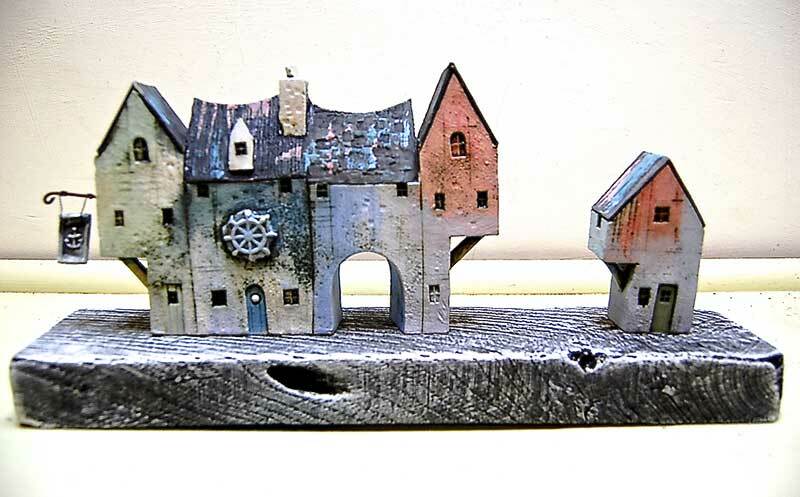 Born in 1954, Jane grew up on farms in the marshlands of Suffolk, and the valleys and mountains of West Wales. She had an unconventional upbringing. 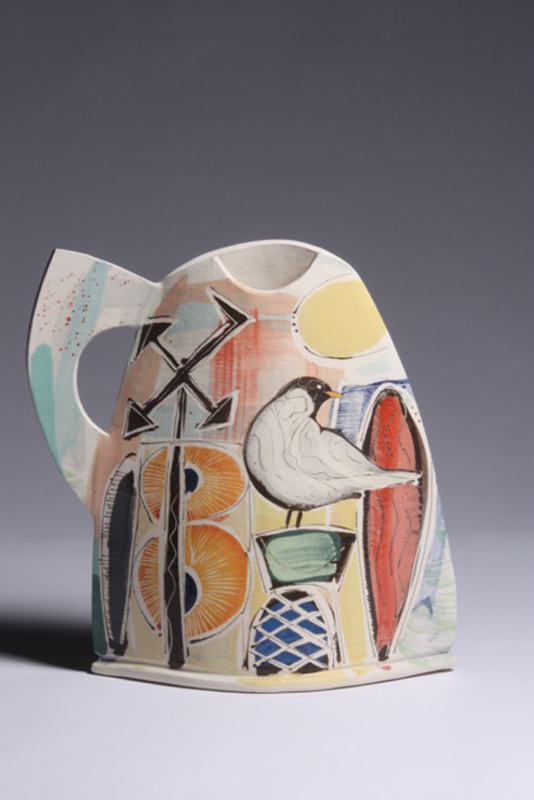 In her artwork and ceramics she is mainly self taught, although strongly influenced by artists such as Hans Coper and James Tower. 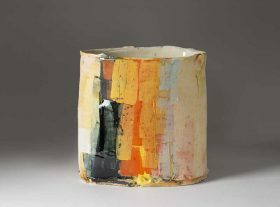 In 1994 Jane moved to County Clare, Ireland to build a house and studio. She makes coiled and slab-built forms and bowls. These she etches into with images from her life drawing studies, attempting to create a new dynamic identity. 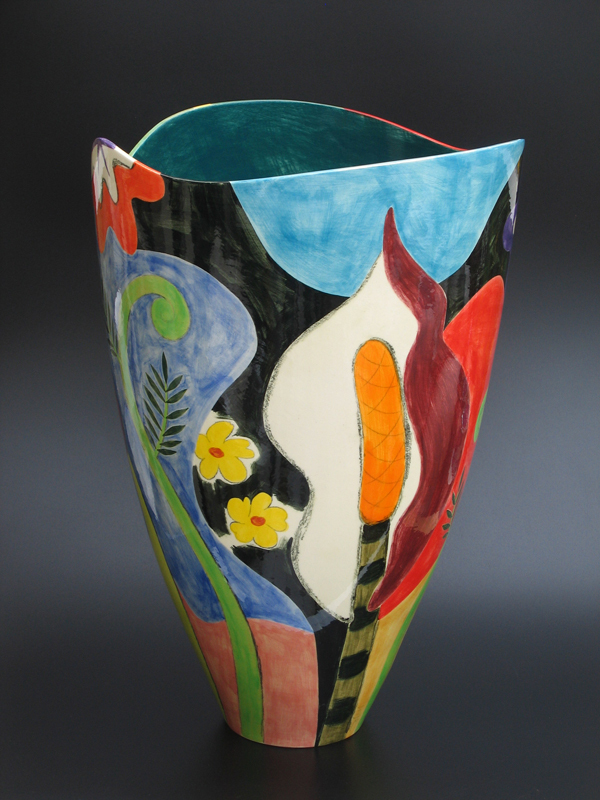 She draws much inspiration from Modigliani, Gauguin, Matisse and Brancusi. 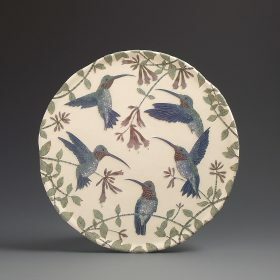 Kitty Shepherd is a British ceramic slipware artist; she exhibits her work in the UK, and Europe. 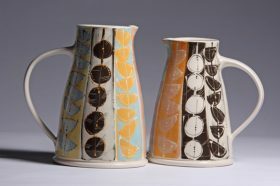 Her distinctive work is hand-built and slip decorated. Fuelled by a global culture Kitty is increasingly focused on the tracking down of things and on the attachment of emotions to these objects. Within her discipline she has become a collector of all kinds of objects and material. Her ideas come to life in her work to form interesting connections between familiar iconic images. 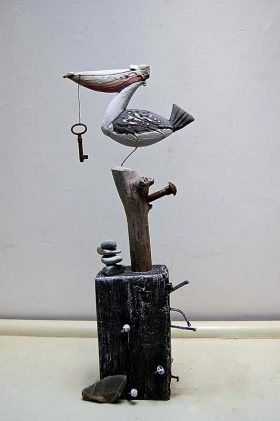 The result is a form of art as play, involving the reframing of objects within a world of attention and manipulation of context; a context standing in a metaphorical relation to the world of everyday life. Very Freudian and very fetishistic and entertaining to the viewer. 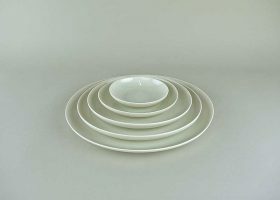 Her on-line shop on her website holds a few of her ceramics to buy, all her major pieces are exhibited and sold exclusively through gallery spaces. 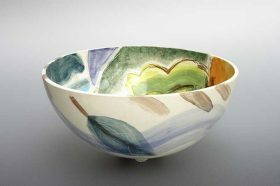 Ken and Valerie Shelton make individual bowls, vase and plates at their home in south Cheshire; Ken throws the pots on the wheel in fine white earthenware. 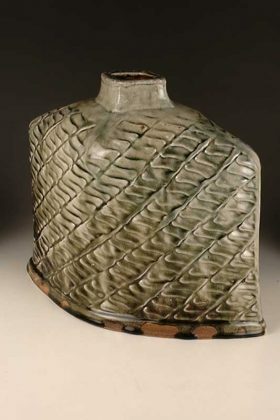 When the pots have dried to a “leather hard” stage they are turned, and burnished to produce a completely smooth surface. 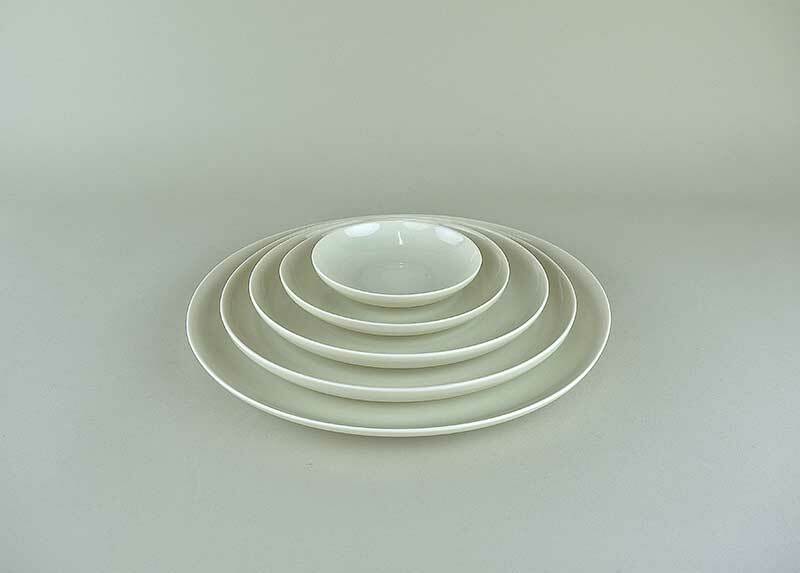 The pots are then biscuit fired in the kiln to 1140°C. 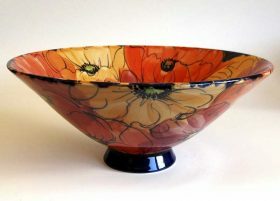 Valerie paints freehand onto the bisque with underglaze colours. Each piece is unique, a combination of practiced brushstroke and instinctive understanding of colour. 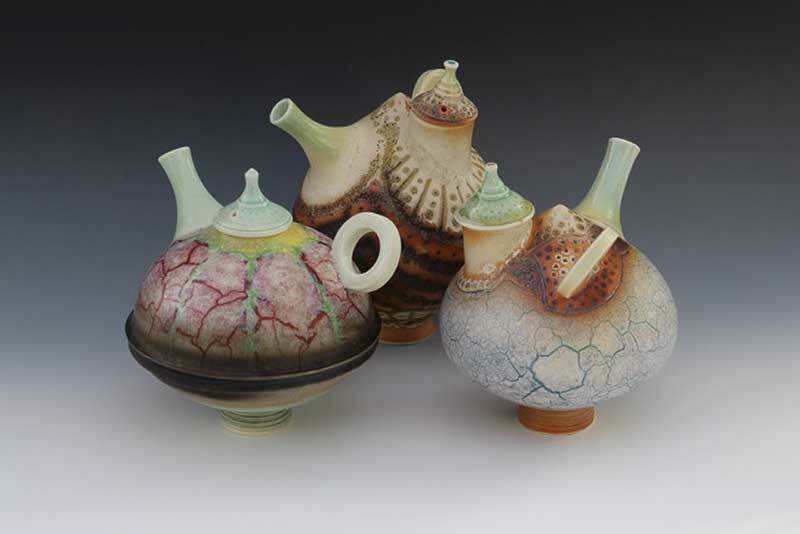 After painting the pots are glazed with a transparent glaze and fired again. Valerie studied fashion and textiles at Brighton and Bristol art colleges; a background that is reflected in her use of bright colour. Ken learnt to pot with potters in Bristol and London and has had a long association with the country’s most prominent potters through his work as a consultant to the craft ceramic supplies industry. His early gallery experience selling work by many of the best potters including Rie, Coper and Leach has informed his approach to shape. 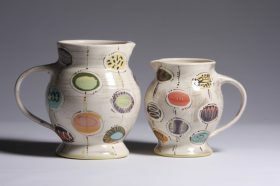 Shelton Pottery’s work is sold in galleries and up-market shops throughout the UK and has been shown in various locations including the Collins Gallery Glasgow, Courtauld Gallery, Newcastle-under-Lyme Art Gallery, Folkestone Arts Centre, Morley Gallery, The British Museum, the Laing Art Gallery and Contemporary Ceramics London. “My work has developed in response to the powerful landscape around me on the Isle of Skye and to a feeling of connection with the passage across the land of its past inhabitants. 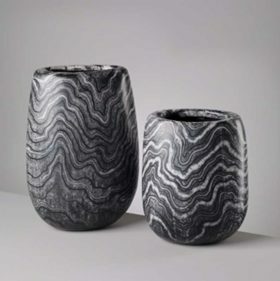 I make mostly bowls, jars and boxes, because they are innately human vessels of containment and sharing.” The highly textured work is hand formed, textured by beating, stretching or carving. Colours are achieved mostly by the firing processes. 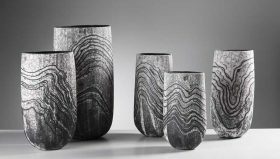 Some of the work is raku fired with post firing reduction. 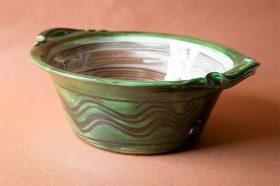 Other work is wood fired at stoneware for up to 24 hours with light reduction, or saggar-fired in the wood kiln with charcoal. Visitors are welcome at the studio but it is best to contact me in advance to check that I will be in. 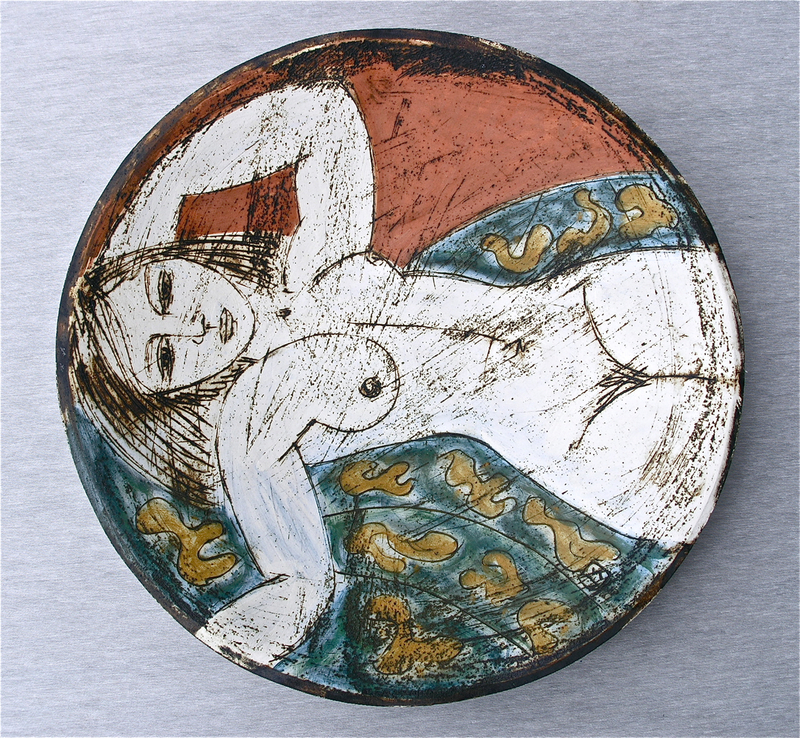 White earthenware clay decorated with coloured slips and a variety of techniques such as sgraffito, slip trailing and wax resist. 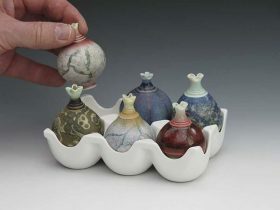 The work is fired twice, using an electric kiln, up to 1125 degrees celsius. Irena’s work has developed into a mixture of utilitarian ware and decorative pieces. 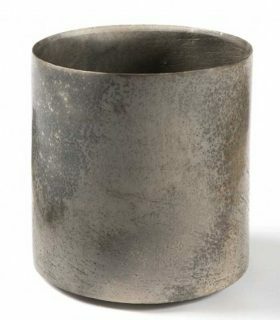 Most work starts out on the wheel, with some more decorative pieces being hand-built. 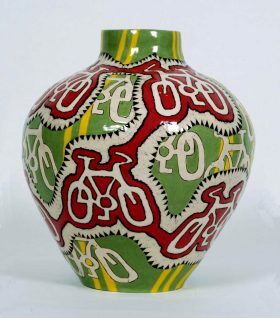 Designs grow around specific themes, but each piece is unique and individually decorated. The style of the work springs from the English 20th century decorative arts tradition, and she collaborates with the Charleston Trust, producing ceramics for their gallery at Charleston House in Firle near Lewes. Many of the themes used in her work are derived from living on the Suffolk coast, treated with varying levels of abstraction. 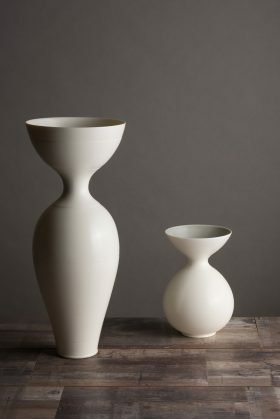 My vases and bowls are wheel-thrown exclusively in porcelain. 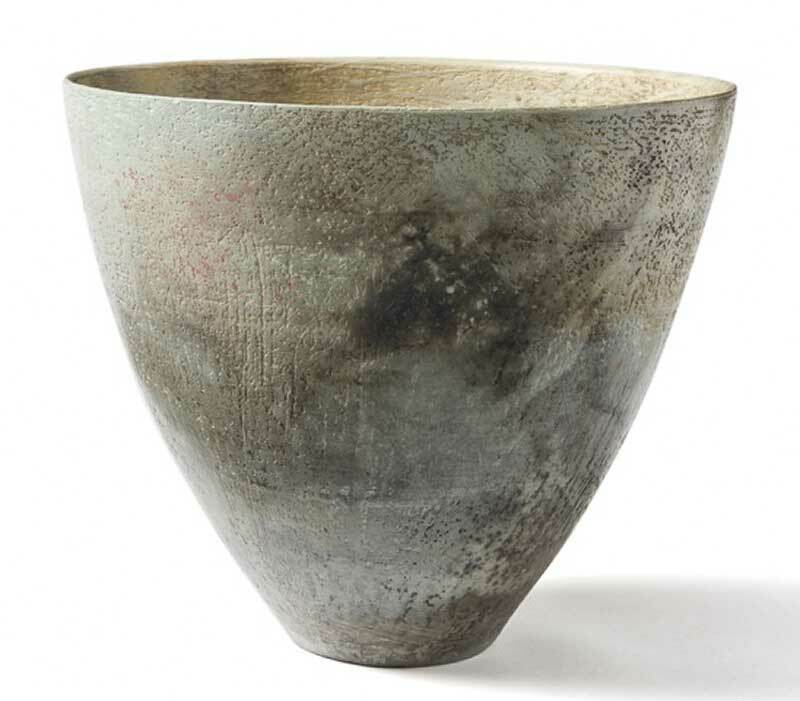 I appreciate the repetitive nature of wheel throwing but concentrate on one-off pieces only. I search for shapes I find beautiful, making incremental modifications and additions, teasing out new discoveries. My pots have changed very gradually over time; similar themes recur alongside innovations as I search for the perfect shape and surface. I also teach adults part-time, which I enjoy; I find it brings balance to the time working in my studio on my own. My studio is at my home in Sydenham South London. I make slip-decorated earthenware, fired to 1140 degrees centigrade. 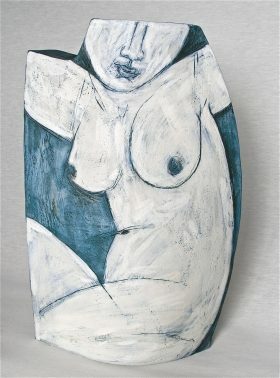 I use a red clay body with white or coloured slips and glazes. 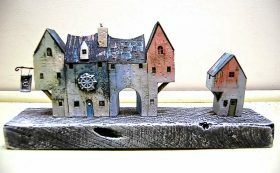 My workshop is situated in the village of Moretonhampstead in Devon, on the edge of Dartmoor. 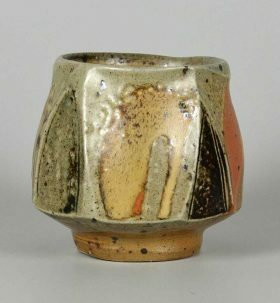 I like making pots for food and for plants. The surrounding natural world is the inspiration for many of my decorative motifs. Workshop in Mile End, East London. 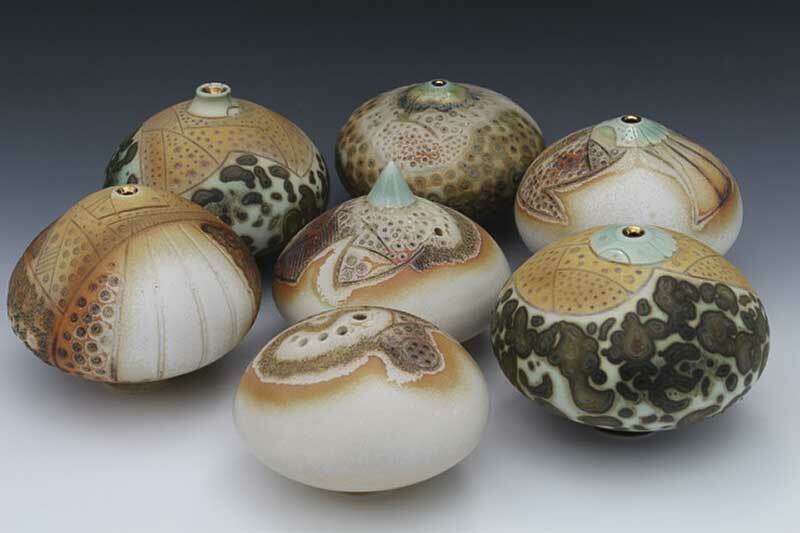 Handbuilt sea themed sculptures using a mixture of stoneware clay, decorated using slips, engobes and oxides, with additional glaze deposits. Jenny studied Fine Art in Bristol. 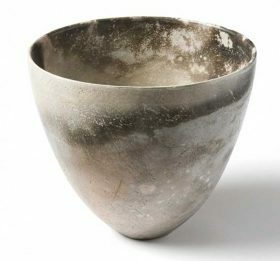 After working initially in bronze she started her career in ceramics after moving to Exeter, where she lives and has her studio. She works predominantly in terracotta, specialising in individual hand-built and slip decorated figurative sculptures. 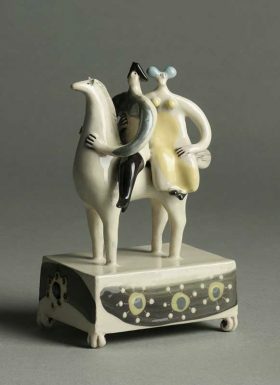 These works often reference her fascination with Etruscan tomb sculptures and Staffordshire mantelpiece figurines. 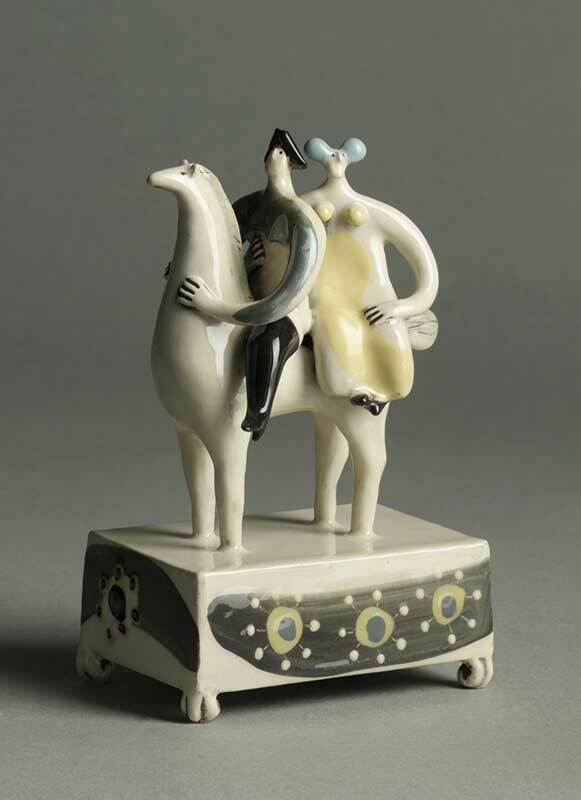 They portray figures and animals, enraptured by nature and their surroundings. 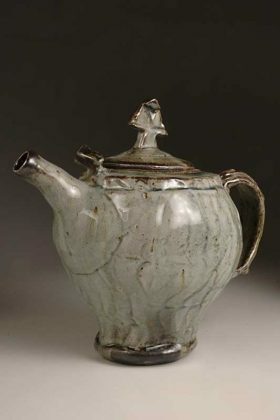 The mythic and domestic rituals explored in many pieces originate in European folk memory, perhaps influenced by her Scandinavian ancestry. 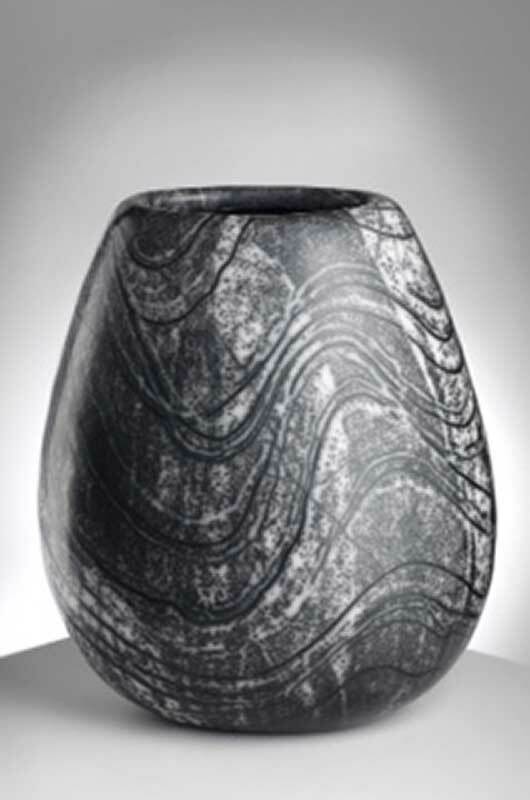 Scale and decoration are both important facets of her practice. Her pieces vary in size from a single figure a few inches in height, to larger and more complicated tableaux. 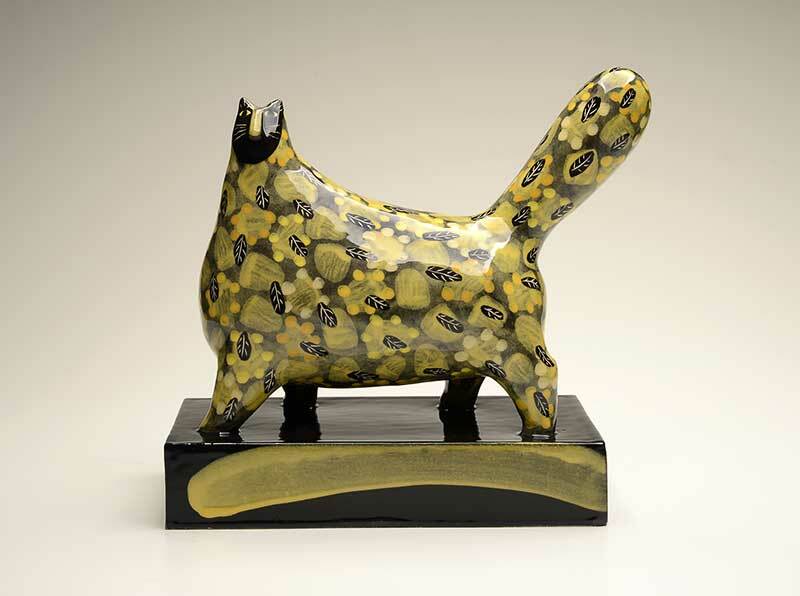 The emotional resonance of each sculpture is enhanced by the rich use of painted slip and sgraffito. 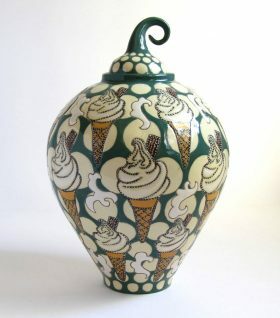 Once built and decorated each sculpture is biscuit fired, glazed, and then fired to a temperature of 1060 degrees Centigrade. 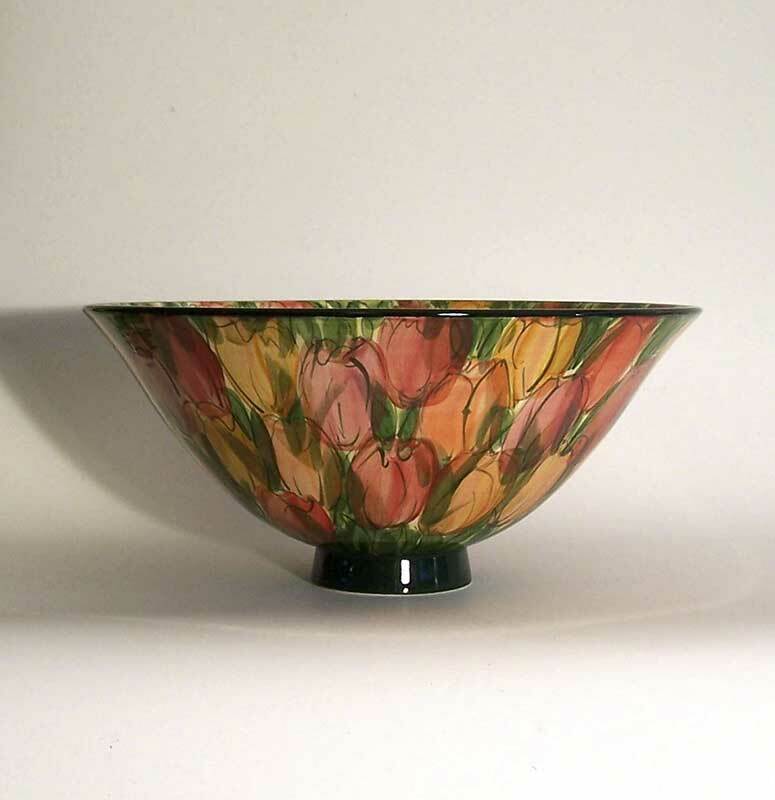 Jenny might carry out further firings on the work with lustres or coloured glazes. 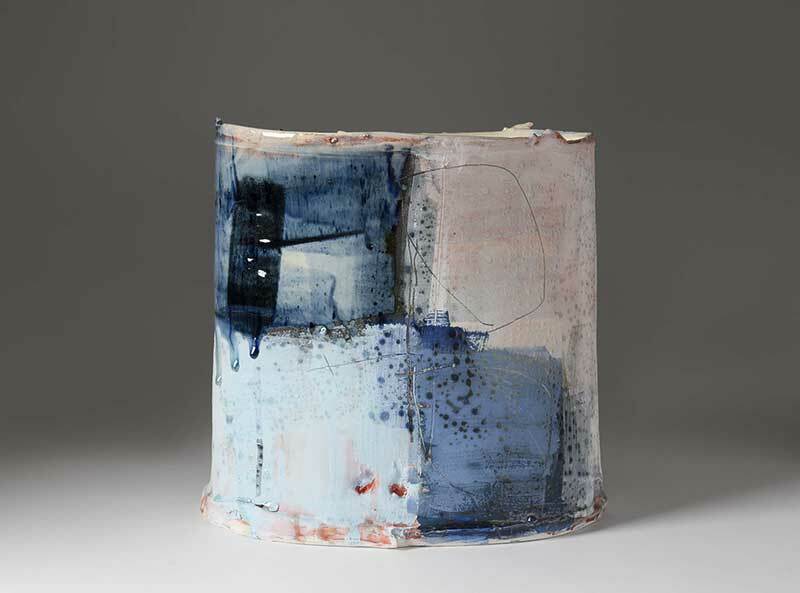 Inspired by mark making and painting, I take a relaxed and direct approach to making vessels. I aim to create a sense of drama that is fresh and exciting, exploring vibrant colour compositions and exploiting the gestural qualities of fluid brush marks and soft clay. 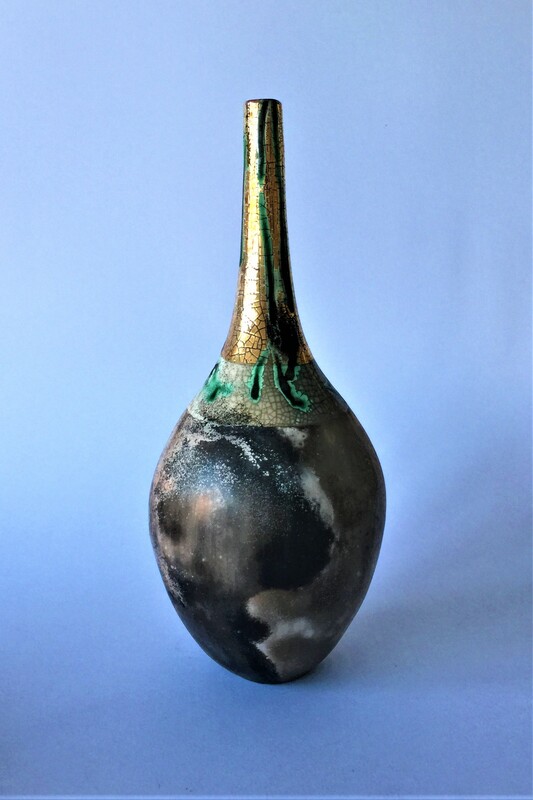 Most of my work is made with earthenware clay, and is usually wheel thrown and altered or constructed from soft slabs and then painted with coloured slips, stains, oxides and glaze and fired to 1080 degrees centigrade. 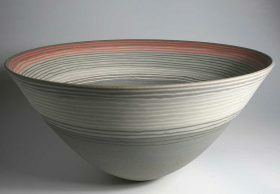 Jeremy Steward trained in Cornwall and then in Cardiff before being invited to join Wobage Farm Craft Workshops in rural Herefordshire in 1995. He and his wife Petra Reynolds, also a potter, live on the edge of the Royal Forest of Dean. They were invited to join the Wobage studios as part-time apprentices to Mick and Sheila Casson, a role they maintained until Mick’s death in 2003. 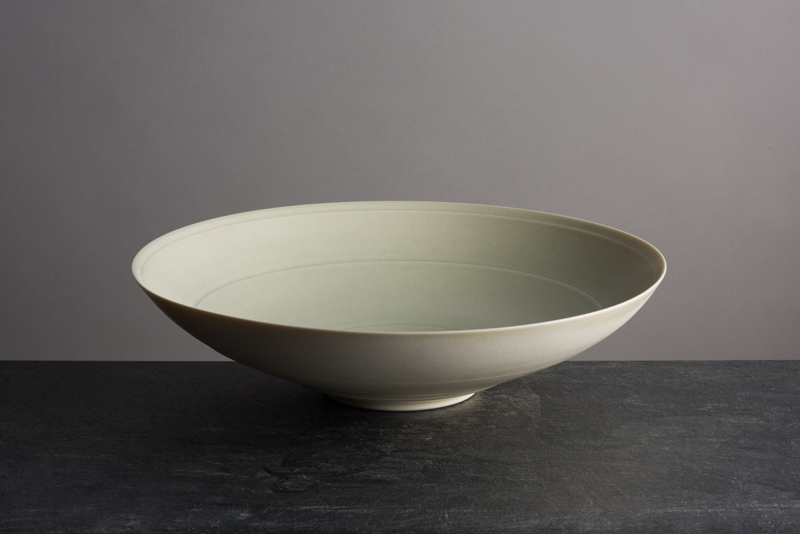 Jeremy makes wheel thrown and slab-built pots, in wood-fired salt-glazed stoneware and porcelain, high fired to 1300˚C. Along with colleague Patia Davis, Jeremy leads a programme of courses from the Wobage studios. 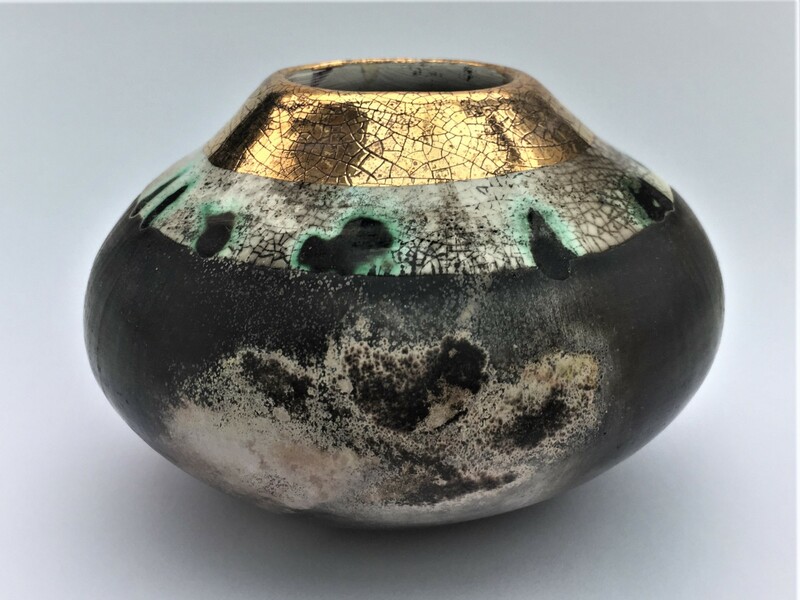 “Alongside a driving motivation to make functional pots, I am inspired by the soft fluidity of the materials themselves; clay on the wheel, salt-slips and raw-glazes. My work is decorated in various ways; I often draw, a sort of wet scragfitto, while the pot is still on the wheel, or after the pot has been slipped. 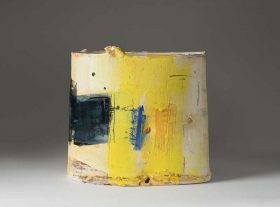 Otherwise they might be impressed, embellished with stamps, roulettes or finger wipes, a vocabulary of abstract marks which are forever changing, but which consistently provide movement and fluidity in their accentuation or distortion of form. 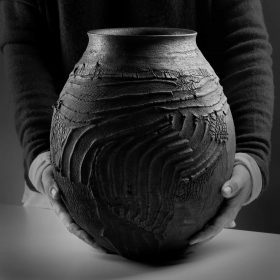 Moyra Stewart hand builds large sculptural vessels at her studio outside Auchtermuchty in Scotland. They are fired in a small outdoor kiln in the Naked Raku method. 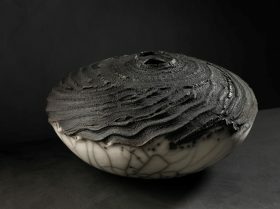 "My work is the physical manifestation of my deeply felt connection with the earth. It is not just that I am inspired by landscape, my own well-being is rooted in my love for the bones and the wilds of our planet and my own place in that world is consistently renewed by my relation to it. It is another form of meditation: reminding myself that I am a small speck in the firmament, that the material world is fleeting and fluid, reminds me not to get too caught up in it. Heraclitus said "there is nothing permanent except change" and it is true even of the oldest things around us.... Lewisian Gneiss which lies on the north west of Scotland is the oldest rock in the world, 3 million years old in fact, once it was in the centre of the earth and now it is on the surface and still changing. The beautiful patterns of this rock are the inspiration for the surface designs on my vessels I use these elements of the natural world as a metaphor for the growth and change in our lives, and in my work I explore how as human beings we can embrace those forces". Using the wheel as a starting point the work is textured and refined by hand before firing at a low temperature in a smoke-filled kiln. 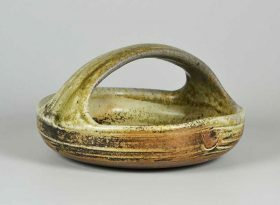 Some people say my ceramics are like washed up sea creatures, some still alive, some just remnants turning slowly to dust. Others see unidentified objects from a far away galaxy, not sure whether they are organic or constructed, friendly or malevolent. They want to touch them and take them home in their pockets like a newly found treasure. For over forty years I have been compelled to make these curious forms, usually they are vases but sometimes they become teapots, bowls or jugs and sometimes they don't have a name. Their creation has given me joy, despair, friends, money and backache. 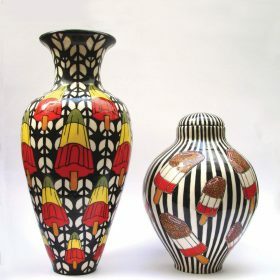 Over forty museums and public collections own them including the Crafts Council and the Victoria and Albert in London.